20s/2 20s/3 20s/4 20s/2 20s/3 40s/2 40s/3 42s/2 50s/2 50s/3 60s/2 60s/3 62s/2 60s/3 Etc. 2. 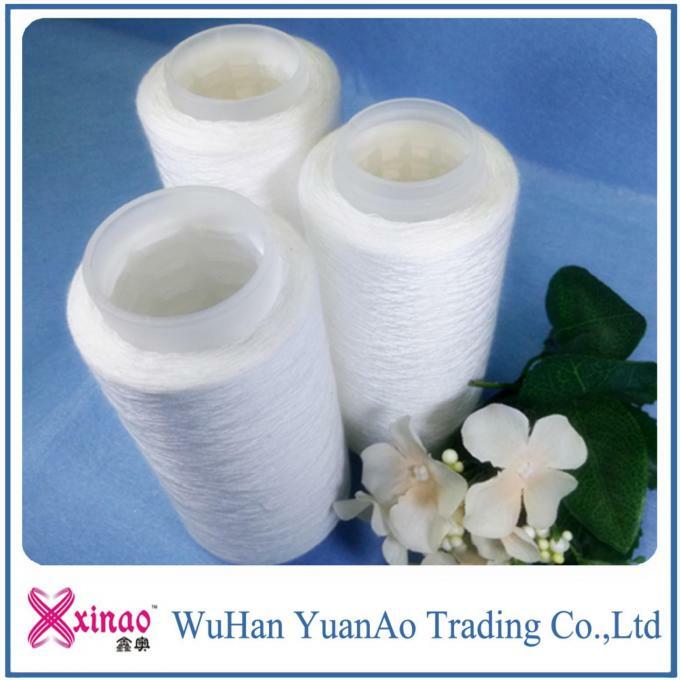 Usage: Used as sewing thread, for clothes, hats, shoes, leatherware, luggage, tent, woven bag, etc. 6. Packing: Each cone in a PP bag, - outer Packaging: Woven bag or carton. Plastic cone: 1.25kg/cone, 20 cones in a woven bag. N. W: 25kg. Hank yarn: 0.25kg/hank. 20 hanks per pile, 20 piles per lot. N. W: 100kg. 7. Customer's specification is welcome. We can make it as per the sample. Payment Terms: T/T 30% in advance, balance before shipment. Delivery Details: 15-20 days after order confirmation. OEM & ODM projects are highly welcomed. We have a strong R&D team here. 4. High Technology: electric-cleaning and air-twisting, which make yarn no-knot. 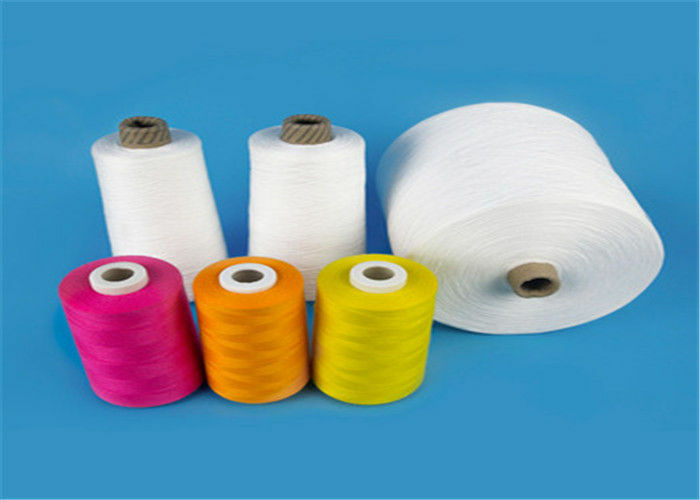 Wuhan yuanao is a manufacturer&trading company.The predecessor is Hebei Hengshui Yuanda Group.It is one of the best textile group in China.The equipment is advanced in the world.The product has passed ISO9002. 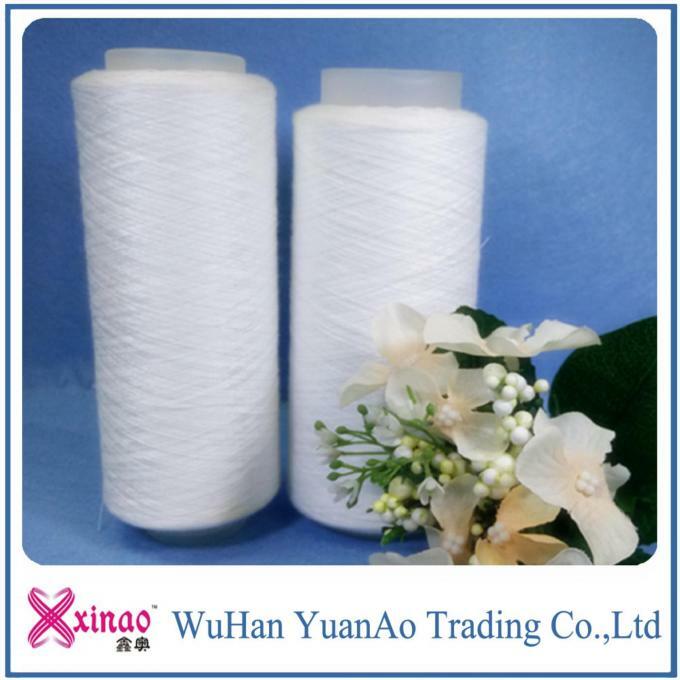 Yarn count: 20s/1 20s/2 20s/3 20s/4 30s/1 20s/2 20s/3 40s/1 40s/2 40s/3 42s/2 50s/2 50s/3 60s/2 60s/3 62s/2 60s/3 etc.